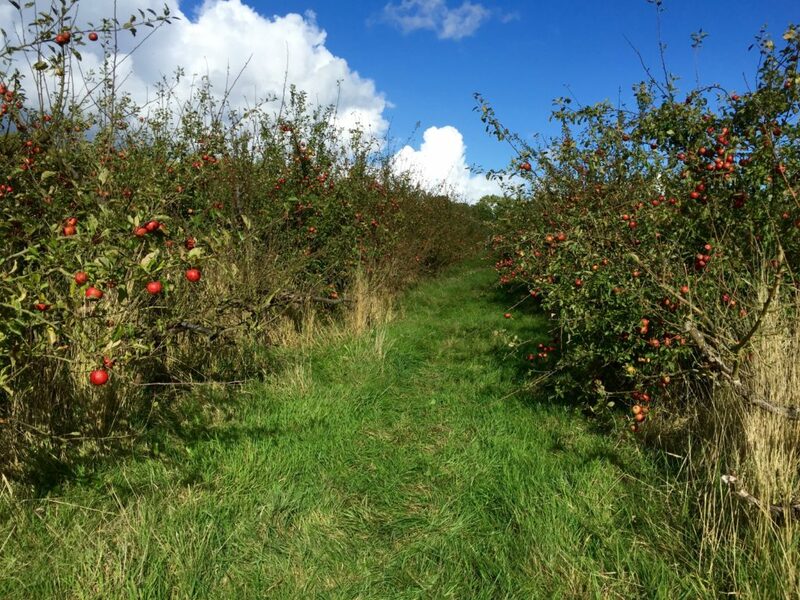 Read my review of Hill Farm Orchard and Hampshire Farmers’ Markets’ first ever Applefest event at Hill Farm near Swanmore. In the UK, around 70% of the apples we buy are from abroad. A bit odd when you consider that the apple harvest in the UK lasts from August to December and you can store some types of apple from nine months or more. It’s no wonder then that some areas have lost up to 90% of their apple orchards since the 1950s. That’s definitely the case where I live in the east of Hedge End, where new housing estates replaced apple orchards in the 1970s. Now you’ll only see the odd mature apple tree in people’s gardens. Hampshire still has its fair share of commercial orchards though. One of these is at Hill Farm, between Swanmore and Droxford on the edge of the South Downs National Park. 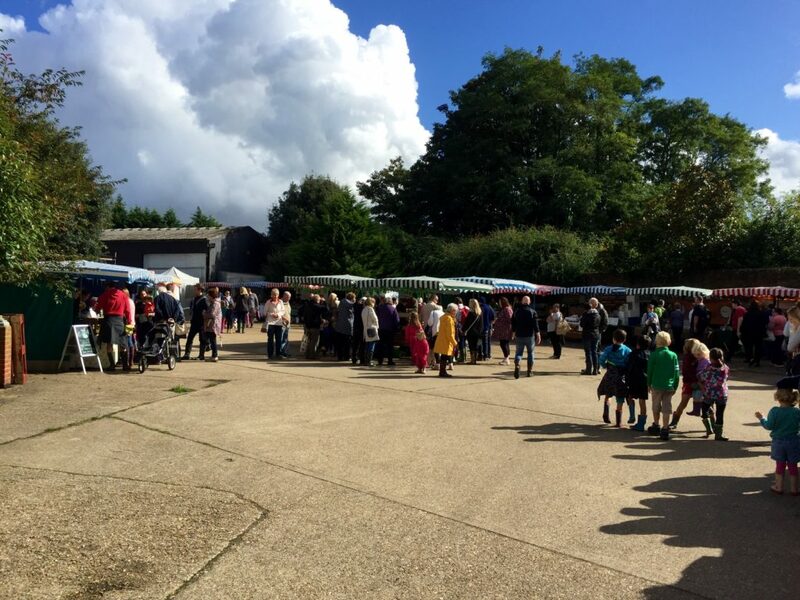 We popped over to Hill Farm on Saturday for its inaugural “Applefest” day – an event in association with Hampshire Farmers’ Markets to celebrate the farm’s apple harvest. The farm makes apple juice and supplies apples to the retail trade. It also grows pears and small amounts of wild garlic. We parked in the beautiful grounds of the neighbouring Hill Place, a Georgian villa also owned by the farm. 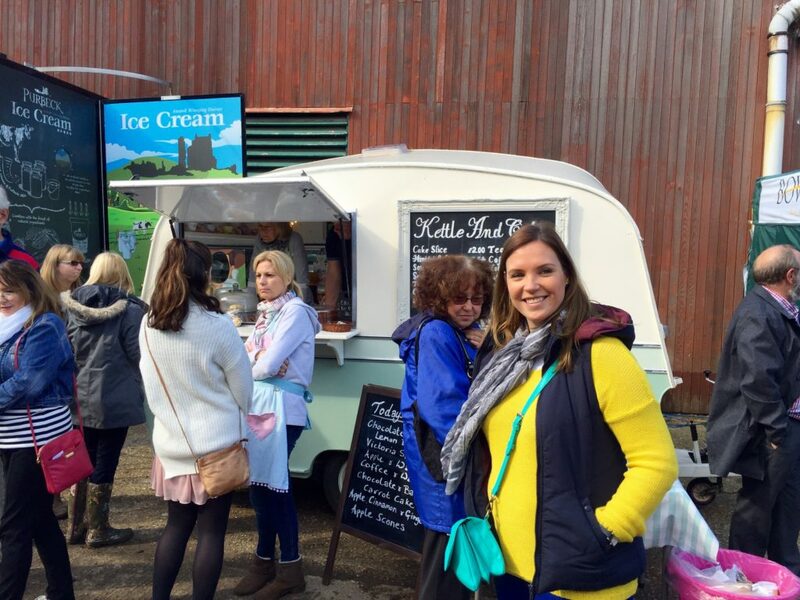 From there, it was a short stroll up the lane to the heart of the event in the farm’s yard where local producers were selling a variety of foods including biltong, chutneys, organic meat, fish, pies, ice cream and more. Meanwhile, revellers lazed around on makeshift hay-bale seating as a folk band provided a traditional soundtrack to proceedings. Naturally, I made my way straight to the Bowman Ales beer stall for a half of “Wallop’s Wood” to sip on as I browsed the other stalls. We then headed past the long queue of excitable children, who were waiting patiently for a tractor ride around the orchards, for a brief tour of the farm’s pressing and bottling plant. The set up is simple. First staff load up the tray of the juicer by hand, discarding any apples they wouldn’t want to eat. The apple juice is then piped into holding tanks in the next room. 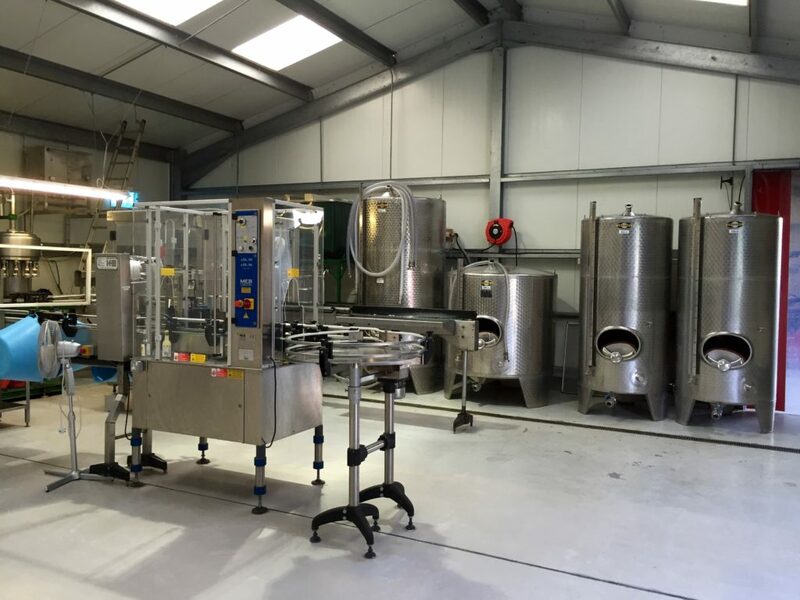 Here it’s pasteurised (heated to 72 degrees centigrade for 15 seconds) to kill and bacteria and natural yeasts and bottled on the farm’s snazzy looking bottling machine. The finished product has a shelf life of at least two years. After our mini-tour of the plant, we picked up a beef burger and a pork roll to much on and sat soaking up the atmosphere on a hay bale in the corner of the yard. 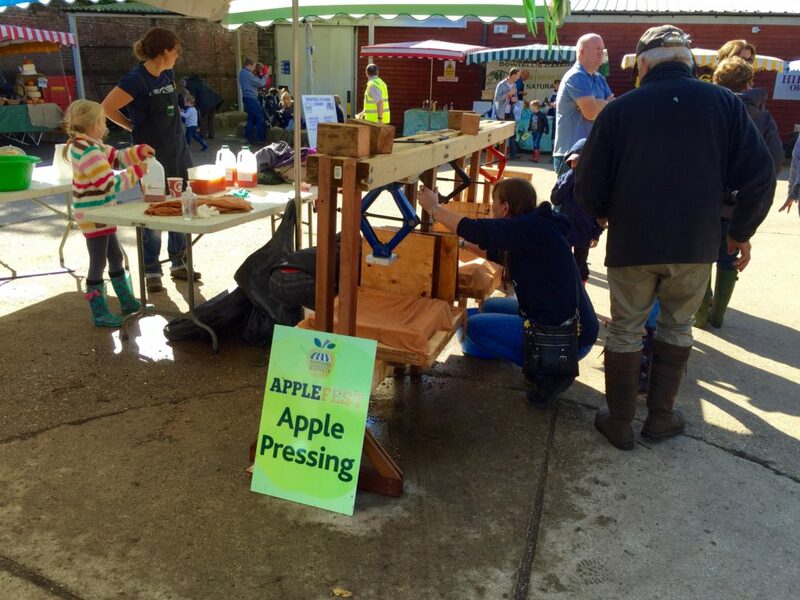 Here we watched as visitors pressed their own juice on the temporary apples presses set up in the centre of the yard. 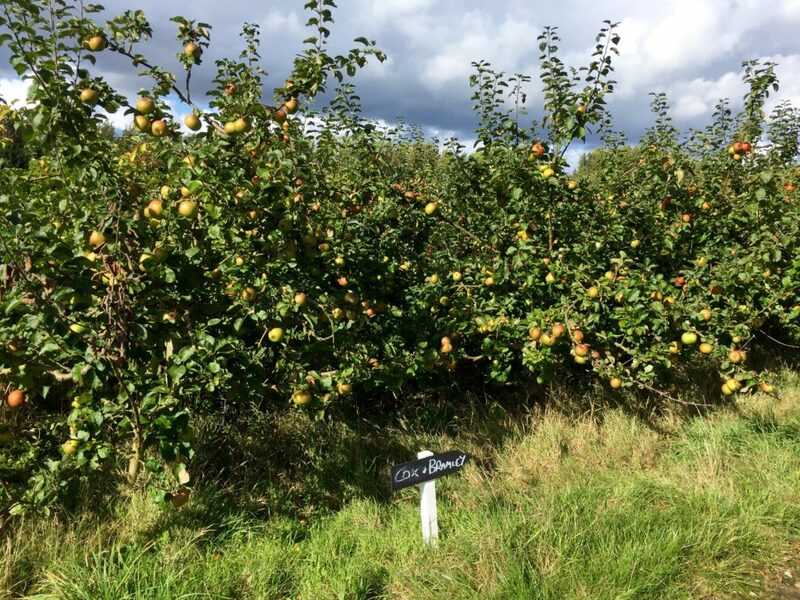 You could either bring your own or pop over the road to pick your own from one of the farm’s orchards for the bargain price of £2.50 for a large bag. The kids loved it. 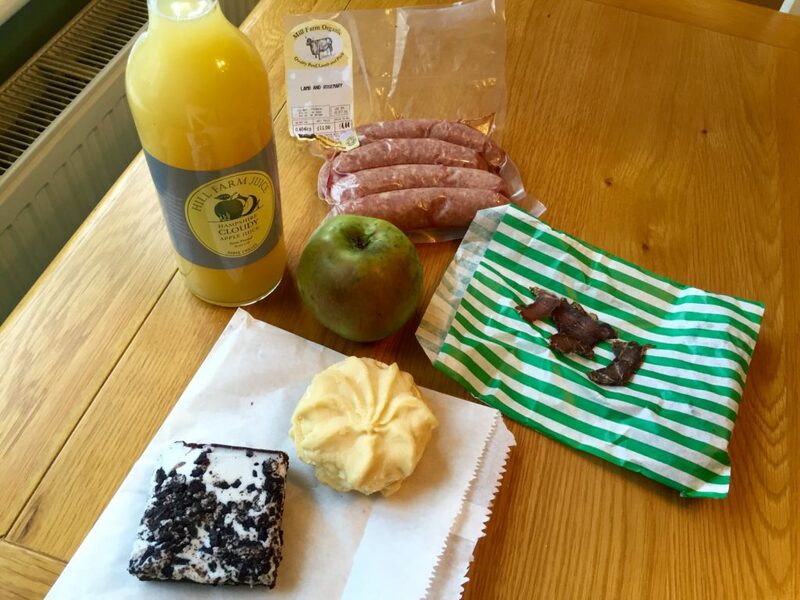 We went for a wander round the orchard once we’d picked up some bits and pieces including some lamb sausages for tea, a viennese whirl and some of the farm’s cloudy apple juice. To increase yields, Hill Farm uses a similar growing system to many vineyards with posts and wire. This means all the trees are close together creating long, cosy avenues. It was lovely to stroll up and down them in the autumn sun. It must be incredibly beautiful here when the trees are in blossom in the springtime. Applefest was a pleasant way to kill a couple of hours on a Saturday afternoon and a handy excuse to indulge in some local food and drink. 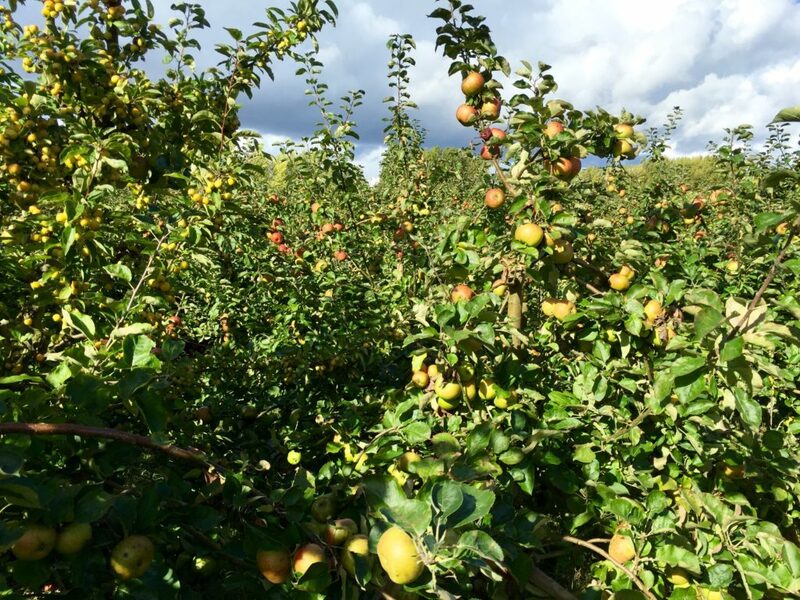 My only qualm was a lack of cider – maybe next year, hey? Info: You can buy Hill Farm Juice online and at a variety of outlets across the south. 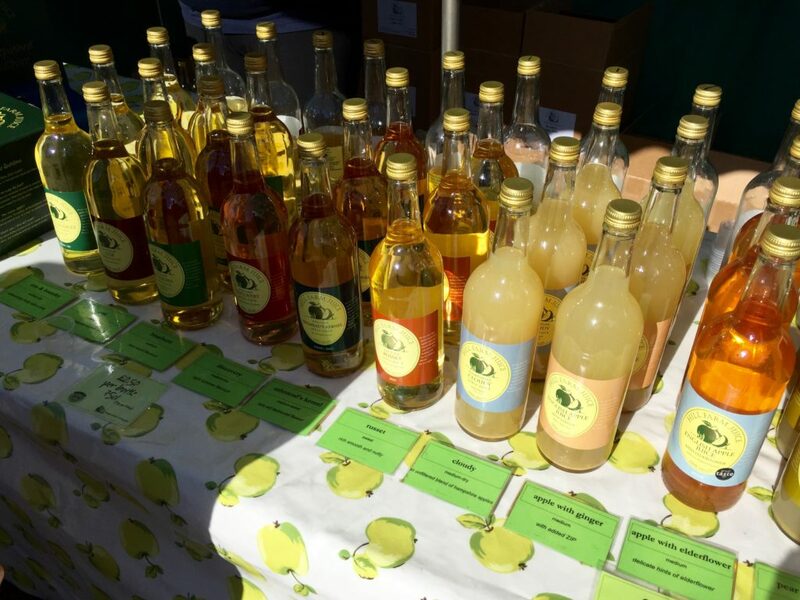 Hampshire Farmers’ Markets take place regularly in towns and cities across Hampshire including Winchester (twice monthly), Southampton, Petersfield and Southsea. Hill Place is available for hire for weddings and other special occasions as well as short-term holiday lets.